Preheat oven to 350F/176C. Place corn husks directly on rack or on a baking sheet and roast for 25-30 minutes, until corn kernels are tender. To make harissa sauce, combine harissa paste, spices, lime juice, and garlic in a small bowl. 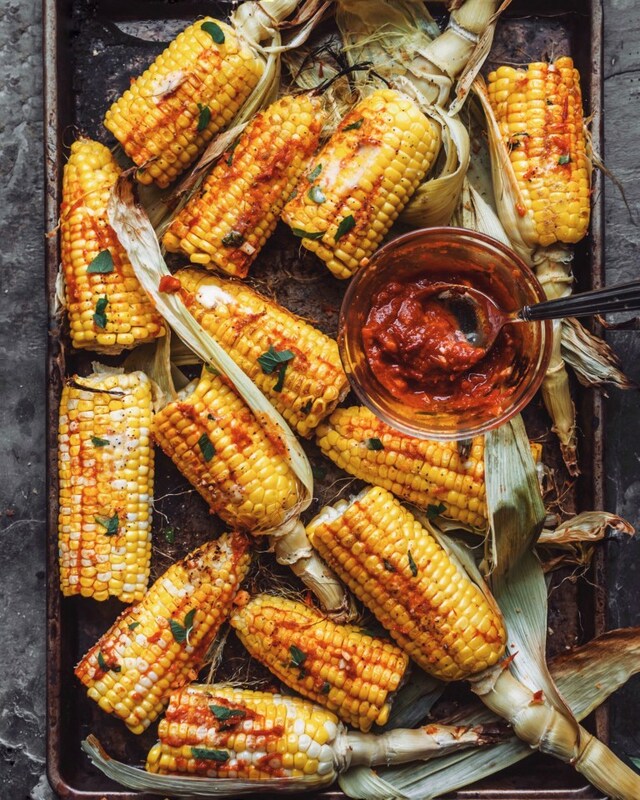 When corn is done, peel husks and top with vegan butter, harissa sauce, and chopped mint leaves to serve.